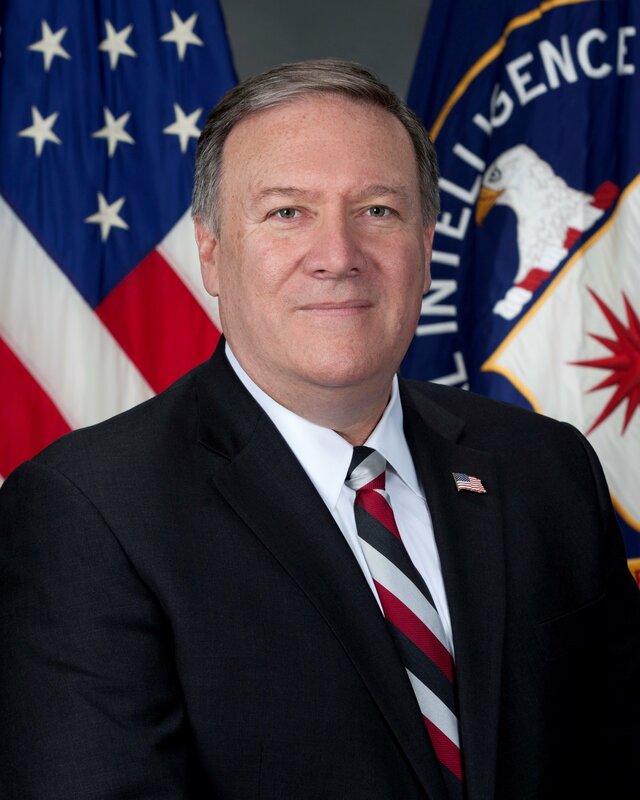 According to new reports, CIA director Mike Pompeo travelled to North Korea for a secret meeting with Kim Jong-un. The meeting to prepare for direct talks between President Donald Trump and the North Korean leader took place over Easter weekend, unnamed officials said. President Trump had earlier alluded to high-level direct talks with North Korea. However, this unexpected and clandestine meeting would mark the highest level US contact with North Korea since 2000. He added that he gave his “blessing” for talks between South Korea and North Korea to discuss a peace treaty to formally end the 1950-1953 Korean War. South Korea has also signaled that it may pursue a formal resolution of the conflict. South Korean President Moon Jae-in and Kim Jong-un are scheduled to meet at the end of April. The news that President Trump’s nominee for secretary of state had travelled to Pyongyang for a secret meeting with Kim Jong-un was first reported by The Washington Post. Very little is known about the talks other than that they were to prepare for the upcoming Trump-Kim summit. According to The Washington Post, the meeting took place soon after Mike Pompeo was nominated as secretary of state and is attributed to two anonymous sources “with direct knowledge of the trip”. Later the Reuters said the report had been confirmed to them by senior officials. The US does not have diplomatic relations with North Korea, although diplomats have visited in the past and there are some so-called “back channels” used to communicate with Pyongyang. Mike Pompeo’s trip was the highest level meeting with a North Korean leader since 2000 when then-Secretary of State Madeleine Albright met Kim Jong-il, the father of the current leader, in Pyongyang. In 2014, the then-head of National Intelligence James Clapper visited North Korea in a secret mission to negotiate the release of two US citizens. James Clapper did not meet Kim Jong-un during his trip. President Trump stunned the international community last month by accepting North Korea’s suggestion for direct talks. It would be unprecedented for a sitting US president to meet a North Korean leader. Donald Trump said the summit would take place either in early June or “a little before that” and that several sites were under consideration but that none of them were in the US. Analysts have speculated that a location for talks could be the demilitarized zone (DMZ) between North Korea and South Korea, Beijing, another Asian country, Europe or even a vessel in international waters. Pyongyang has carried out six nuclear tests, and has missiles that could reach the US. However, South Korea’s hosting of the Winter Olympics in February gave an unexpected window for diplomacy and in the weeks since there have been a flurry of visits to North Korea from China, South Korea and now the US. President Trump’s estimate that a meeting could take place in June or earlier appears to be one the administration is taking seriously. However, news of Mike Pompeo’s visit is also likely to overshadow the other key diplomatic balancing act under way, which is the important relationship with Japan, a key US ally and neighbor of North Korea. There have been fears in Tokyo that President Trump’s plans for bilateral talks could sideline Japan and Shinzo Abe is currently in Washington for talks with the US leader. Relations between the two men appeared cordial on this, the second time that President Trump has welcomed Shinzo Abe to his Mar-a-Lago resort. On April 17, President Trump insisted that the two countries were “very unified on the subject of North Korea”, and PM Shinzo Abe praised the president’s handling of the North Korea issue. However, observers say Shinzo Abe’s goal for his US trip will be to persuade President Trump as much as he can not to sway from the West’s hard line on North Korea. PM Shinzo Abe has repeatedly sought to portray a close personal relationship with President Trump and was the first foreign leader to meet him in New York after his election victory in 2016.